Whenever Ramadhan arrives, my heart deeply misses my Muslim sisters in Newcastle. They made me realize something I would always be grateful to them for. They made me realize that all the Israiliyat stories I had questioned in the past….well, I was right in questioning them. They opened my eyes – widely! – that religion IS logical.They made me realize that religious people are not weakly passive, terribly soft-spoken or yawningly dull. Because THEY were not dull and yet they were one of the most religious people I have ever met. They made me realize, that in matters of religion, there are rooms for people like me…. the ruthlessly logical and aggressively out-spoken people like me are also acceptable in Islam. That I was not un-Islamic when I questioned things I really didn’t understand. In fact, they were delighted by my questions and when they in turn answered my questions, I was delighted by their answers! Because now, it makes sense! Finally!! They made me understand that my concept of religious people as people who “asyik cakap lemah-lembut, pakai baju besar dan tudung labuh, pijak semut tak mati… tapi asyik suka bagi orang rasa bersalah bila kita tanya balik kat depa benda yang kita rasa langsung tak logik!” was so wrong! I was wrong to stereotype ‘religious people’ and I was delighted about being wrong, at that time! I knew then, that there did exist outwardly religious people who were also inwardly Islamic in their principles and worldviews. I was intrigued by the sisters when I went to Melbourne for the Summer in my first year of med school (initially just to have a fun holiday for a month) and the Melbourne sisters then took me and my friends under their wings and taught me to understand my religion beyond its mere rituals. Because of them (supplemented by YOU TUBE videos of Nouman Ali Khan, Yusha Evans and Dr. MAZA) I understood the core principles of my religion and I stick to it as much as I can. Some of them were one of the most energetic people I have ever met. And all these while I thought “Orang agama ni mesti jenis jalan menunduk all the time.” Well, not them! So this is to me, an image of a Muslim I could relate to! Cergas! Cerdas! Kuat! Tegas! Our religion celebrates differences in personalities and habits as long as they are not against the syariat. Since then Saidina Umar is my favourite figure in religion, after Prophet Muhammad (PBUH). Not because I think Saidina Abu Bakar and the rest of the companions are not as great. No! But I can RELATE with Umar. Saidina Abu Bakar might have diplomacy and patience…. but I am weak in those aspects and I couldn’t relate to him the way I could relate with Saidina Umar. How am I supposed to be patient when something really unjust is happening right before my eyes? I couldn’t relate why I could not simply call it out and tell them frankly to their face that what they are doing is wrong, regardless of who they are in the society! While I admire Saidina Abu Bakar just as much, it is with Saidina Umar r.a that I can relate the most. Thats’ my fi’il… my tabiat…don’t force me, don’t cross my principles, don’t violate my boundaries. Because I will fight when it matters enough! You don’t get to me by force. You get to me with kindness and patient reasoning. The way the Newcastle and Melbourne sisters did. I was so impressed by the things I was taught in Melbourne that summer. This!! THIS is the version of Islam that was never taught to me in Malaysia. This version of Islam taught us how to live and live well! And live honourably! And live courageously! Hmm… I had no idea. The Quran didn’t mention what happened to them. I shrugged my shoulder at the naqibah and shook my head. Believe me, there are times when I really miss how I was when I was in Australia. I think my behaviour was at its best when I was there because the environment there made it easy for me to be nice. I was not exposed to much injustice that would disturb my psyche at that time. I surrounded myself with nice, and intellectual people who could satisfy my thirst for knowledge and could sooth my insistence for things to be fair and logic. Then I returned to Malaysia as a houseman. I was shocked. “Hang pun tau, aku dah inform MO yang patient tu punya Blood Pressure low and Pulse Rate tachycardic. Dia kata suruh observe dulu. Run fluid fast apa semua. Sekarang patient ni bleeding teruk… tiba-tiba dia kata aku tak inform. Padahal dia yang tak attend.” said one of my fellow HOs to me when I was in my first posting. I told her to report the matter to the specialist. That I would accompany her to do it! She didn’t want to. Since this incident involved her, I couldn’t do anything much if she herself didn’t want to fight for herself. Takkan aku pula nak lebih-lebih involved? In Malaysia, people don’t reward being nice. Instead, being nice gets you bullied. Bullying is something I have never experienced until I became a houseman… even then, I didn’t tolerate it for long! By the time my blog became viral, no MOs dared to bully me anyway. “Takut masuk blog.” they joked to me about it. (Hahha) Most of them were simply curious about me and I ended up becoming friends with most of them. Instead of being targeted and my life being made difficult (the way other HOs had predicted), my life became even more smooth after my blog became viralled. I thought that… maybe, hopefully… it was Allah’s reward for me because I wrote the truth. Maybe HE rewarded me because I finally returned to the principle of justice I had lovingly nurtured when I was a medical student in Australia. I was a coward just like any other housemen when I was in my first posting. Allah taught me to never again be like that! To maintain my outlook in life and let Allah handle the rest. In Malaysia, you can request for one tiny reasonable thing in the most gentle tone you can muster, but it would get rejected as long as they think they can get away with it. By the time you raise your voice and threaten to take some action, only then you get what you want. So, the Malaysian culture rewards me when I am being my loud, rude self. The culture doesn’t reward me by complying to my reasonable request when I am being nice. So I then learn that if I want what I want, I will have to be tough and fight with my bare hands until I get it because with you guys, diplomacy doesn’t work! Even my younger sister had experienced the same thing once she started working. By the time she threatened legal action against the PPD in Sarawak for withholding her husband’s BKLP (Bayaran Khas Lokasi Pedalaman) allowance, only then they decided to comply to her demand. And so she won! PPD gave her husband back his rightful BKLP money. These people… they don’t get it!. Their priorities are not the same as us, the INTPs/INTJs. Our priorities are truths, justice and principle. Money comes second. Preserving harmonious relationship comes second (sometimes last!) It is okay if you have different priorities than me…. BUT!, don’t push your misguided notion on me! As long as we can afford our principles, we will go all out for it, khalas! If you are the sort of person who don’t have principles, you would not understand. Initially, Alida wanted her money because it was rightfully hers! She requested for it reasonably. But when people were being unjust, difficult and refused to do the right thing, suddenly her priorities changed. Suddenly, this was NO LONGER about the money! She didn’t want it anymore! Now this was about justice! And she was willing to spend money to win against the PPD because they were being unjust! Let Alida be the lesson the PPD would never forget! And I supported her all the way by encouraging her to play their unjust game to the end by hitting below the belt and threaten them with not just legal action but ‘viral action’ too. My father supported her by offering to pay for the lawyer. And viola, suddenly it was so easy for the PPD to give her back the money that was rightfully hers. When Alida got her money, only then the parasites who had told her “Hang pi lah fight. Tapi, aku rasa tak dapat punya” came to her, seeking her guidance. They asked her for a copy of what she wrote to the PPD so that they too could claim their money by using her letter as an example to write their own. Sheeshhh..
What sort of respect do we feel for these kind of people…. who didn’t want to do the dirty work of fighting in the first place… but when winning is finally assured, only then they came running, asking for how to get it done! When Alida had first asked them to fight together with her, they didn’t want to move their lazy bums to do it and in fact, had discouraged her from fighting! But afterwards, their behaviour went exactly the opposite! Isn’t their behaviour the perfect epitome of shameful cowardice? Allow me to impart you an advice I always believe in. Giving this advice is part of my civic duty and social responsibility as a senior MO (now that I am already in my second year of UD48 Hahaha. Senior la kan?). When you see injustice happens, call out on it. Because that is the most Islamic thing you can do! Because that is ACTIVE Sabar! And don’t give yourself excuses that ‘at least, aku benci benda ni dalam hati.’ (I tried that excuse when I was a HO; it didn’t sit really well with me and I could not respect myself). If you were a HO, maybe you can be forgiven to still be in the ‘selemah-lemah iman.’ To just ‘benci dalam hati’. But if you are already an MO, or one day a specialist, a Jusa, a Dato, a Tan Sri, a Pengarah here and there…. there will always be someone higher than you who would tell you to do something your conscience says is wrong! Even when you become a DG, you still have someone else higher than you who would dictate to you things that are so unfair and so wrong that your blood boils because of it! Jadi, takkan sampai ke sudah hanya nak benci dalam hati dan berpuas hati dengan hanya memiliki ‘selemah-lemah iman’? Hanya kerana ia adalah arahan orang atasan? Because I don’t want to be among people who are not worth mentioning. Insya Allah, this will be my second Ramadhan in Malaysia after five long years of being in Australia. In Newcastle, I’d learned to love this month with the kind of wild ferocity I had never thought I could feel for anything as mundane as the coming of another new month. 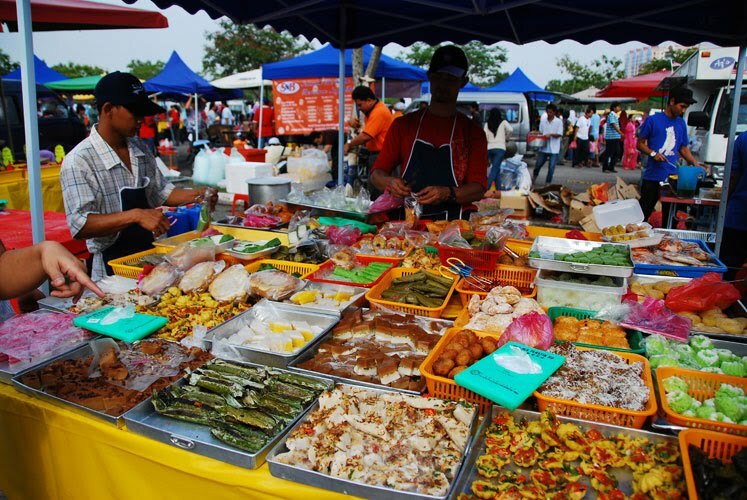 Of course, the food over there was not as abundant as the ones in Malaysia – well, not the halal ones, anyway. And of course, for some inexplicable reason, we would always find ourselves heartily pine for the voice of the ‘Penyimpan Mohor Besar Raja-raja’ on the TV channels. Of course there were times when we just WISH we could go to some sort of bazaar somewhere prior to iftaar (breaking fast). But you know what, Ramadhan over there was even better than the ones in Malaysia. Wayyy better. 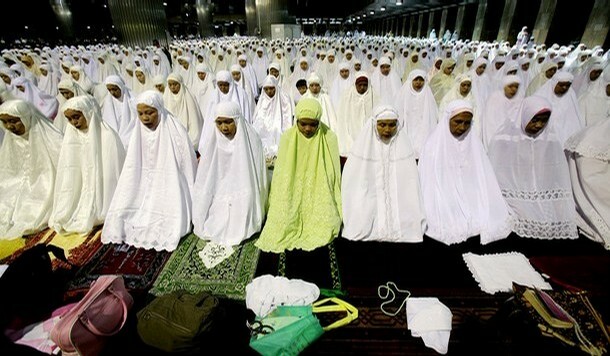 It would be fabulous beyond this universe ONLY if I could just bring my whole family to experience Ramadhan over there. To experience the bliss of Ramadhan without the abundance of the food, to experience the greatness of Allah’s blessing without the obsession for the bazaar, to experience the beauty of forgoing our needs for the sake of Allah without the preoccupation for the Eid clothes. 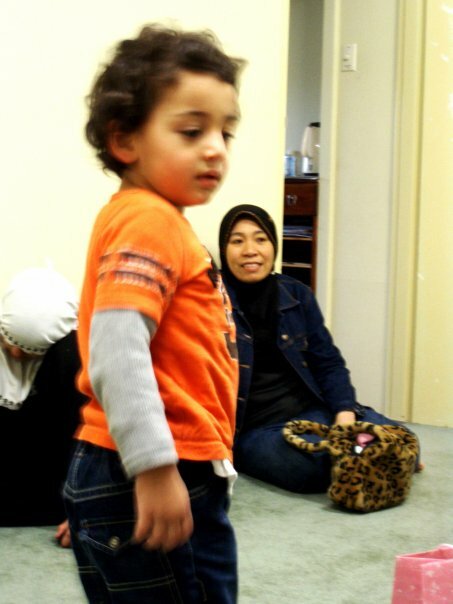 In Newcastle, as a foreigner, we could not be made to forget the real spirit of Ramadhan. We could not be made to forget that the real purpose of Ramadhan is NOT for a lifestyle change of ‘fast and feast’ for 1 month. It is NOT for going hungry during the day and to eat yourself chockablock during the night. It is NOT for going on a diet – the Islamic version of it. It is NOT for empathizing with the poor and the needy. It is for the purpose of attaining ‘takwa’ ; piety – fear of God. You see, if you don’t pray, people do notice. I can tell which house officers do not pray and which of them do pray simply because there’s only one prayer room in the ward. Sooner or later, you can tell and you will know. There’s always one or two person you have never come across in the prayer room. Ask other HOs…I am sure they also notice these things…we just never talk about it among each other. After all, we are all adults. Enough said. But if you don’t fast and secretly eat in the toilet…who would know? Fasting is between you and Allah alone. No one else is privy to it. If you don’t have fear of God – you will eat…and no one will know about it. There’s no societal pressure for you to go hungry. Of course there IS societal pressure for you to pretend that you are fasting. But you can secretly eat – EASILY! – without anyone knowing… Except Allah. That’s why the real purpose of Ramadhan is to attain piety or fear of God. Nothing else will keep you from eating except for the fear of God. Nothing else. Allah told us in all his frank wisdom that the real purpose of fasting is for us to increase our level of piety. -you see, fasting is good for you because it will help you with your blood sugar. It is good for managing obesity. -Oh, I fast so that I can empathize with the poor and the needy. The western people ask us –sometimes in derision – why do your religion makes it compulsory for you to fast. And we think our answers sound better than the one that Allah already told us. We forgot that these westerners do not need to go hungry in order to empathize with the poor and the needy. Who was the first one to lend a helping hand in war-torn Muslim countries…yup, the Christians. We forgot that our blood sugar control went even more haywire during the month of Ramadhan, haha. So please stop all these apologetic and defensive answers. Say it the way it is supposed to be said. Let’s just quote what Allah had said by saying that fasting is prescribed for us, as it was prescribed for those before us (namely the Jews and the Christians – Moses and Jesus also fasted) in order that we will attain piety. If they further ask : how does fasting makes you attain piety – well, then you elaborate and explain further. If you have spent some time in overseas, you will get this kind of question every year during Ramadhan, your answer will get better and better as the years go by. But please give the right answer – don’t make up one that you think sounds better. It was PBL tutorial day. It was customary for us to bring some food to munch while discussing the PBL trigger. That day, it was my turn to bring food. And I did. Imagine my pleasure when one of them at least knew about the existence of Ramadhan. I was quite impressed that he knew. “So you fast all day, and then you eat the whole night?” he suddenly asked. Terbeliak juga biji mata aku mendengar soalan ajaib tersebut. You see, it was not the first time I had heard that question. Another Australian had asked me the very same question during the previous Ramadhan too. I had laughed myself silly at that time. But when another Australian acquaintance of mine had asked such thoughtless question to me this time, I was quite insulted, to say in the least. 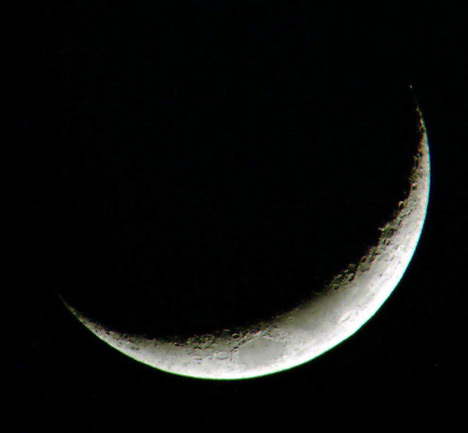 Apparently a myth has been going around, being propagated by the haters of Islam that Muslims suffered SO MUCH during Ramadhan that they will make up for it by eating all night! Well, think about it, folks. Ramadhan is NOT that hard. We have our Sahur (early breakfast) prior to our Subuh prayer…meaning around 5.00 to 5.30 am. And then we break our fast around 7.30 to 8.00 pm (around dinner time). So really, the only regular meal that we have to miss is lunch. And if you ask all HOs in the country, missing lunch is not such a big deal, right! So what is it about Ramadhan that makes you think we are a bunch of weaklings, that we have to make up for it by eating ALL NIGHT? Don’t you have any sense when you had thought to ask that question? Or weren’t you even thinking? Imagine eating all night! Don’t you think that some of us will need to sleep because, oh, we happen to go to work too. The Muslim kids need to go to school too. Eating all night, you said? How about our assignments and homeworks? Don’t you think those need to get done? How about studying? My SPM in 2002 was during the month of Ramadhan and many of my friends and I had obtained straight As for it. Did you think I eat my way into straight As without slapping my forehead black and blue over Add Maths and Physics? Eating all night? Okay…how about those who go to the mosque for the 20-rakaat Terawih prayer? You think they pray AND eat at the same time? What an imagination you have! I could not imagine how in God’s name can they come up with such a question! To think that we eat all night! It was such a ridiculous image of Muslims; it was as ridiculous as it was unfair. And apparently, some of them believe it. Apparently, they believe us to be as ridiculous as that! But I could forgive the Australians if they are ignorant of our real nature in the month of Ramadhan. After all, Australia is not a Muslim-majority country. Oh my God! Don’t you feel insulted? Mahu marah pun ada. Kau tak nampak ke beratus-ratus orang Muslim pergi buat solat terawih malam-malam tu? Kau tak perasan ke ada Muslim doctors kena on-call waktu bulan puasa? WHEN would we have the TIME to eat all night? Come on!! It’s true that we only start our fasting from Subuh until Maghrib. It’s true that we are allowed to eat throughout the night! But being allowed to do something doesn’t mean you will be doing it! I have never eaten throughout the night EVER. Most of us only break our fast and then eat our early breakfast at 5.00 am. For the last time, please do not insult your intelligence – and mine – by asking that ridiculous question again. It’s not even funny! To look at Muslims in Malaysia breaking their fast at the hotel buffet, you cannot exactly blame these people for thinking that we eat all night. I kind of understand the reason they think we were such a piranha during Ramadhan. It was our fault. Our culture has made Ramadhan to be about food. Our culture has made Ramadhan to be about food waste. It is the fault of our modern culture. In Newcastle, it was not about food. There were times when we had iftaar at the mosque on the basis of pot luck. The arabs, the Malays, the Pakistani, the Brunei…all brought home-cooked meal and we tasted a bit of everything. 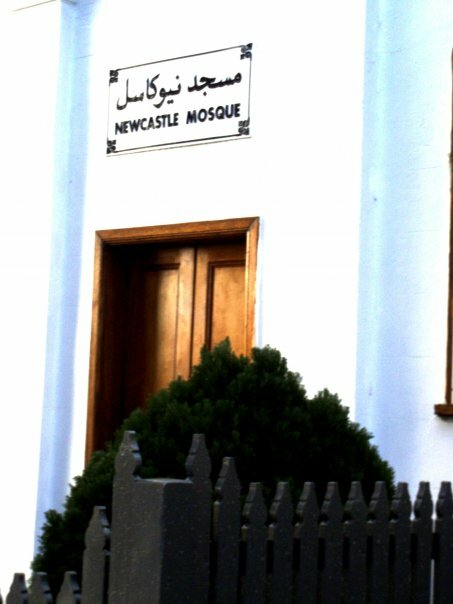 Newcastle mosque, Australia. Where I spent my Ramadhan and Eid for 5 years. In Newcastle, Ramadhan really wasn’t about food. Well, only minimally (I wouldn’t lie and say food did not matter AT ALL, but not in such a large scale) You would see most Muslims walking around with palm-sized Quran in their hands during Ramadhan. They were so into the Quran… it could be at the library, it could be at the bus stop, it could be during a bus journey or in the train…it could be anywhere! They were so into it whenever they have any spare time. The Terawih in the mosque was quite long, actually…so there was no way those people can eat ALL NIGHT, all right? The adorable Arab kid who, I am sure, has been looked after by Malaysians, Indonesians, Pakistanis, Indians and several others, while his mom was praying. And I particularly love the Arabs during the month of Ramadhan. The Arabs – if they are in overseas – are rich people. They are the most generous of souls during the month of Ramadhan. How many amenities of the mosque have come from their money, I could not easily count. May Allah reward our Arab brothers and sisters. I can forgive the non-Muslims if they persisted in thinking that Muslims will become weak and lazy during the month of Ramadhan. If they think so, it is our fault. In Australia, I always try to be my most energetic self during the month of Ramadhan….wouldn’t want these people to think that fasting was so hard for me. And as I have mentioned above, fasting was only a matter of missing lunch… so it really was not that hard. But I cannot forgive Muslims who think that Ramadhan is an excuse for them to be slackers. If you are slacking, then say it’s your fault that has nothing to do with you fasting and rectify the matter. But don’t say “Oh, sorry I am too tired because I am fasting.” Because non-Muslims would think that we are at our worst self when we are fasting – which is NOT TRUE! We won the Battle of Badar during the month of Ramadhan. We also won the Battle of Khanda’ in the month of Ramadhan. Remember ’Fathul Makkah’ or Pembersihan Kota Mekah? We freed Makkah from the existence of idols during the month of Ramadhan when our prophet and the companions journeyed from Madinah and were able to march straight into Makkah, conquering the holy city without a single blood being dropped. It was a big victory; the sweetness of which, we still enjoy until now. Since then, no idols have ever been erected in Makkah again and this holy city remains exclusive for Muslims throughout all these years! Salahuddin Al- Ayubi and the Muslim Army freed Palestine from the Crusaders during the month of Ramadhan too! 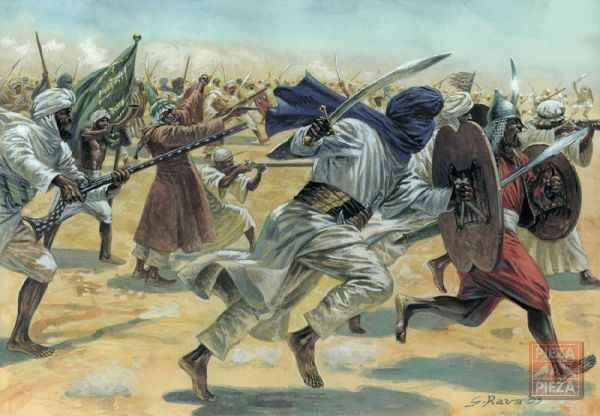 The Muslims Army led by Thariq Ibn Ziyad landed in Andalusia in Ramadhan. We won the Battle of Ayn Jalut – we beat the Mongols – during the month of Ramadhan too. Imagine going into battle… while you are fasting. In the desert! A brave warrrior by day, a humble servant by night. That’s what Ramadhan has always been for Muslims…the month of victory; bulan kemenangan. It’s just that we forgot! May Allah guide all of us in obtaining the real purpose of Ramadhan – to attain takwa; piety and fear of God. Marhaban Ya Ramadhan! How intensely you are missed! This is gonna be a very short post. I have just finished my evening on call today and am still feeling quite fatigue. 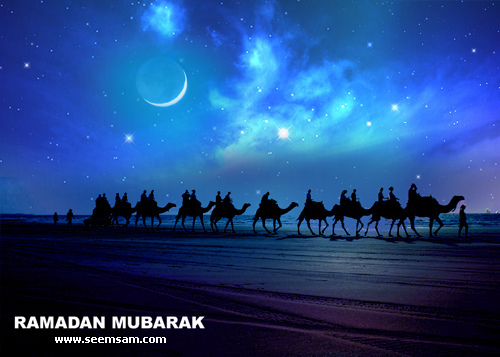 But I don’t want to miss the opportunity to wish each and everyone of you Ramadhan Mubarak. Make the best of these 30 days to attain greater amount of taqwa, insya Allah. May all our effort be rewarded by the Most Loving and the Most Merciful. Newcastle Muslims would start fasting tomorrow (Thursday 12th of August), one day later than the Muslims in Malaysia. I would like to humbly plead forgiveness for all my wrongdoings, knowingly or unknowingly to all my readers. May Allah extend His forgiveness to you and me.